Before making a donation to a charity, you should research the organization to find out if it has 501(c)(3) status. The IRS grants 501(c)(3) status to nonprofit organizations that have a charitable purpose. Once it has this status, the nonprofit may be referred to as an "exempt" organization, meaning it is exempt from income tax, and donations are tax-deductible. Visit the IRS Exempt Organization Select Check page (see Resources), and click on the Search button. From there, limit the search to organizations that are eligible to receive tax-deductible contributions. Submit in as much information as you have about the organization, and check if the nonprofit is on the exempt organization list. Only certain types of donations are deductible. Generally, donations of money or property for the use of an exempt organization are deductible. You cannot deduct a charitable contribution of less than your entire interest in the property. This means that if you are donating storage space for the exempt organization to own outright, the donation is deductible. However, if you will continue to own the storage space, and will simply allow the nonprofit to store supplies or equipment, the donation is not deductible. In other words, you must give up your right to own and use the storage space to the nonprofit to make a deductible contribution. If you plan on deducting your donation, you must maintain a record of the contribution. Request the exempt organization to draft a written acknowledgement of your donation, which must include the date of the donation, a description of the donation, the estimated fair market value, and whether the organization gave you any goods or services in exchange for the contribution. You must have this record by the date your tax return is due. If your donation meets the requirements for a tax-deductible contribution, you may report the donation if you itemize your deductions on your tax return. 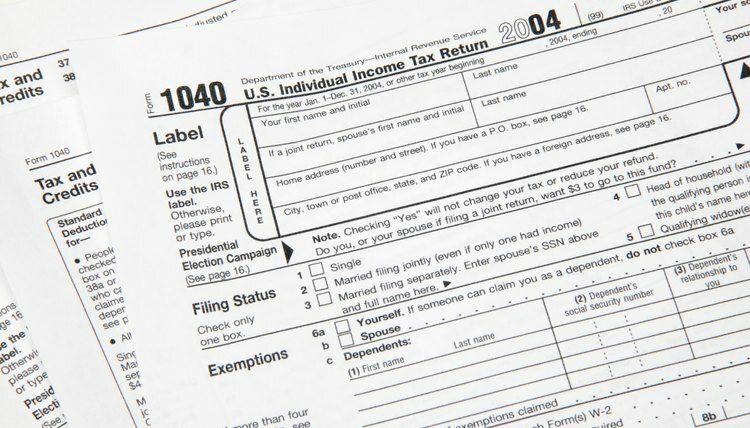 To itemize deductions, attach Schedule A to your Form 1040. If the storage space had a fair market value of more than $500, you must fill out and attach Form 8283 to your return.